Bacalhau à Brás or golden cod: one of the stars of Portuguese cuisine is cod. Grilled, in sauce, in fritters or salads… it’s delicious whichever way it’s cooked. The king of all cod dishes, however, is golden cod: shreds of salted cod, onions and thinly chopped fried potatoes in a bound of scrambled eggs, garnished with black olives and sprinkled with fresh parsley. Simply delicious! Francesinhas: a hearty, tasty dish from north Portugal, although you’ll also find it in Lisbon: a multi-decker sandwich with ham, bacon, eggs and roast meat, wrapped in melted cheese and a fairly spicy sauce and served with chips. You won’t usually have room for dessert! Cataplana: a dish with a bit of everything: king prawns, clams, chicken, shrimps, streaky bacon, green pepper, onion, parsley and coriander all steamed in a pot called a cataplana, which gives the dish its name! 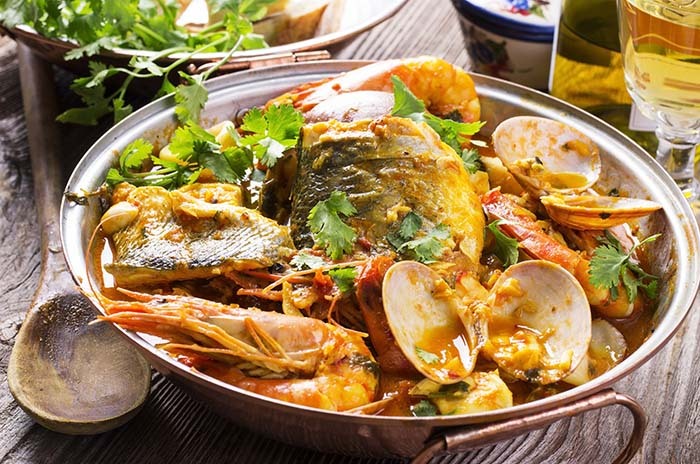 Caldeirada de peixe: another typical Portuguese dish to eat in Lisbon. This fish stew is a favourite with fishermen, who created it to use up small fry and fish that had got broken in their nets. The commonest fish to use are hake, angler fish and turbot, and it is usually served with golden potato rounds, bay leaf, onion and black pepper. One serving is never enough. Carne de porco à alentejana: a surf and turf classic. The main ingredient is pork marinated in garlic, parsley, bay leaf and a dash of paprika. Add some clams or cockles and plenty of coriander and this delicious dish is ready! Rice stew: a mouthwatering stew with baby prawns, baby squid, cockles, mussels, clams, angler fish, diced fresh tomato and white wine served with spices such as bay leaf, coriander, parsley, saffron and black pepper. Once you’ve tried it, you’ll be hooked! 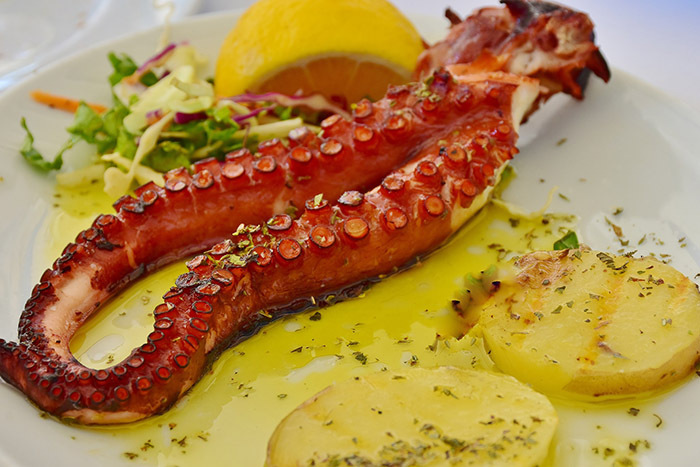 Polvo à lagareiro: octopus is another star of Portuguese cuisine. You’ll find it served cold with olive oil and parsley in many Lisbon restaurants, but we prefer this version: baked octopus with baked potatoes and a drizzling of olive oil. Yum! Feijoadas: a tasty stew made with beans cooked with carrots, tomato, cabbage, streaky bacon and chorizo, and usually white rice as well. Alheiras de Mirandela: these smoked chorizos are the commonest cured sausage in Portugal, usually stuffed with bread, garlic and minced chicken or pork, topped off with salt, paprika and olive oil. They’re great grilled or fried and you can also find ones stuffed with ham, beef or duck. They are usually served with chips and eggs. Hearty and tasty! Pastel de Belém: the best-known Portuguese dessert. 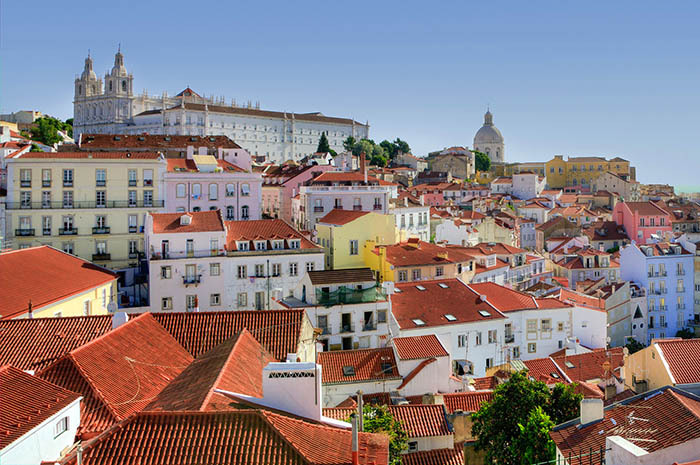 Originally from the Belém neighbourhood, there’s no beating the ones from the famous Pastéis de Belém bakery, close to the Mosteiro dos Jerónimos in Lisbon. With a dusting of cinnamon and served with hot chocolate, they’re irresistible. 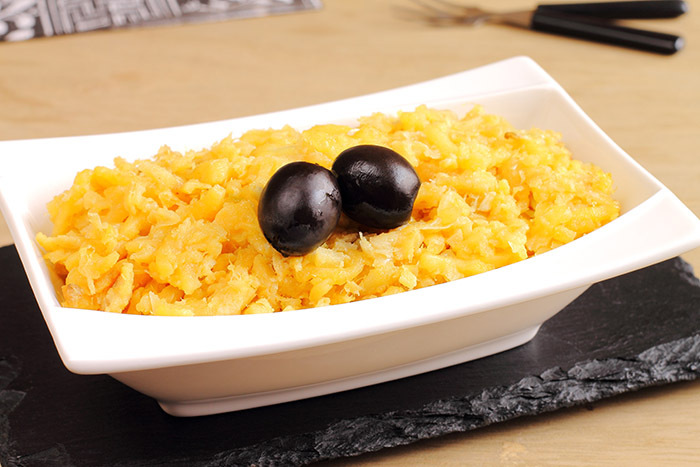 Other tasty desserts include arroz doce (ripe pudding), made with egg yolks, and ovos moles de Aveiro, made with egg yolks and sugar. If you go to Sintra, make sure you try the lovely queijadas, biscuits made with egg yolks and fresh cheese. Wonderful! 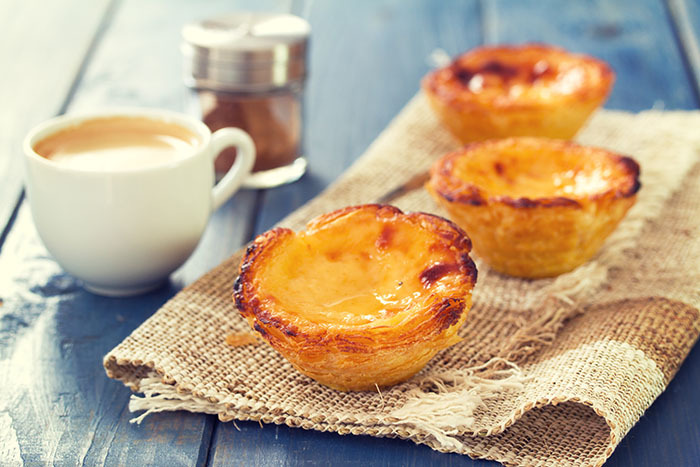 If these typical Portuguese dishes have whetted your appetite to try some food from more countries, take a look at our articles on Argentinian cuisine or British cooking. Bon appétit!